As Apple’s App Store has grown in size and popularity, it has run aground on a myriad of issues that surround developers communicating easily with app purchasers. This issue is being tackled by developer Rogue Amoeba with a feature it is calling the Developer News Window. Since we started shipping Developer News in our apps many months ago, we’ve been fortunate to need to provide users with critical information just once, and everything worked exactly as designed. 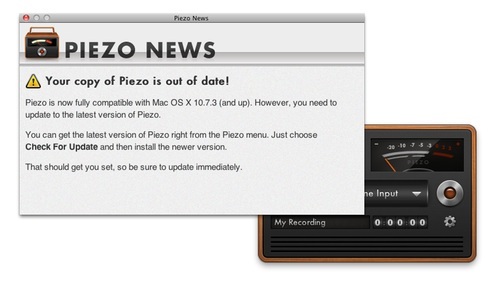 Specifically, users with Piezo on Mac OS X 10.7.2 were alerted to an issue before they upgraded their OS, and many opted to hold off for a few days until we could issue a fix. After that, users on Mac OS X 10.7.3 who had the broken version were alerted as soon as a working version was available. The Developer Window provides them with a channel of communication that exists outside the Mac App Store. This can solve a myriad of issues that arise when an app needs a critical update or a user needs to take an action and they haven’t visited the store recently. It also gives them a way to contact users of their apps that have purchased them outside of the MAS. They say they plan to use the window only “after careful consideration, and to err on the side of not using it if we have another choice.” Basically it’s a sort of ’emergency alert system’ that they can use only for crucial bugs or problems. The Developer News Window highlights an issue with all of Apple’s App Stores in that it can be difficult to get users to contact the developer for help when a critical issue arises. More often than not the result of a bug being introduced by a new version of OS X or another outside factor is a rash of poor reviews on the App Store and a bunch of unsatisfied customers. 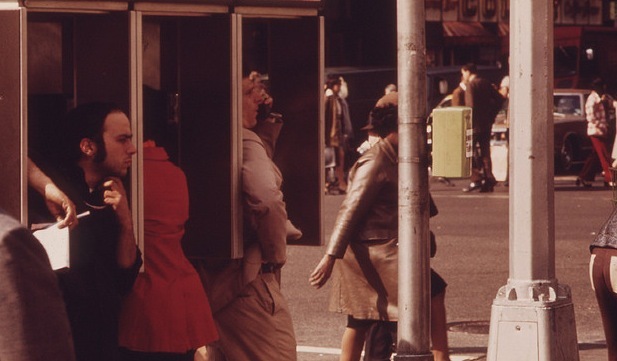 With an emergency channel of sorts to get those critical messages out there, these can be avoided. Of course, another way to handle these issues would be for Apple to find a way to implement a real two-way conversation, either publicly or privately, between developers and App Store customers. As the various stores Apple maintains continue to grow, they will increasingly become a source of major revenue for companies making apps on the Mac and for iOS. Being completely out of touch with your customers is never a great feeling and could even lead to the disruption of your livelihood. Unfortunately, no real system like this exists for developers on the MAS, at least for now. So the Developer News Window sounds like an interesting way to keep that channel of communication open. If you’re a developer of Mac apps and you’re interested in how they implemented the window, be sure to check out Carnicelli’s full post over at Rogue Amoeba’s site.